NJAC verdict: After then CJI Lodha’s tough words, Govt should have seen it coming? On August 15, 2014, a day after Parliament passed the bill for setting up the National Judicial Appointments Commission, the then Chief Justice of India R. M. Lodha, present CJI H L Dattu’s predecessor, surprisingly minced no words while warning the Central government against encroaching into the sphere of the judiciary and reminded the centre of the principle of separation of power as enshrined in the Constitution. Today, after everything is over and the NJAC stood scrapped evoking amidst angry reactions from the government, Lodha, writing for The Hindu put forward an advice to the Centre- Instead of seeing the NJAC verdict as one that leads to a confrontation between the Parliament and the judiciary, the executive must use this as an opportunity to help the Supreme Court in preparing an institutional design so that appointments are fair and transparent. “Appoint good judges. The rest will follow”, he wrote. Justice Lodha reminded the government that the judges who delivered the judgment in the NJAC case also hold the view that an improvement in the working of the collegium system is the need of the hour and they have proposed a hearing on this aspect on November 3. “It is to be noted that bill was passed by parliament despite stiff objection from the judiciary. "People in parliament, people in the executive and people in the judiciary are mature enough to have mutual respect for each other and ensure that each organ is permitted to work without encroaching upon each other's domain or area, unhindered by extraneous influence or unconstitutional means," Lodha had said in his speech after unfurling the tri-colour in the Supreme Court premises on the occasion of Independence Day last year. Then Law Minister Ravi Shankar Prasad was sharing the dais with justice Lodha at the function organised by the Supreme Court Bar Association. The issue was also raised by SCBA Vice President V Shekhar, who said bar leaders were not consulted when the bill was conceived. But assuring the bar that he would soon hold a meeting with them, Prasad had said in his speech: "My government is committed to the independence and freedom of the judiciary. I don't think today is the occasion to talk about new bills. I am saying this as an individual, a lawyer and as a law minister. The assurance in this regard is complete and total. The government will not do anything which will endanger the independence of the judiciary." Lodha's remarks had assumed significance as the bill has already run into rough weather, with Fali S. Nariman and former law minister Kapil Sibal saying they intend to approach the Supreme Court challenging it . A Public Interest Litigation (PIL) has already been filed in the apex court against it. 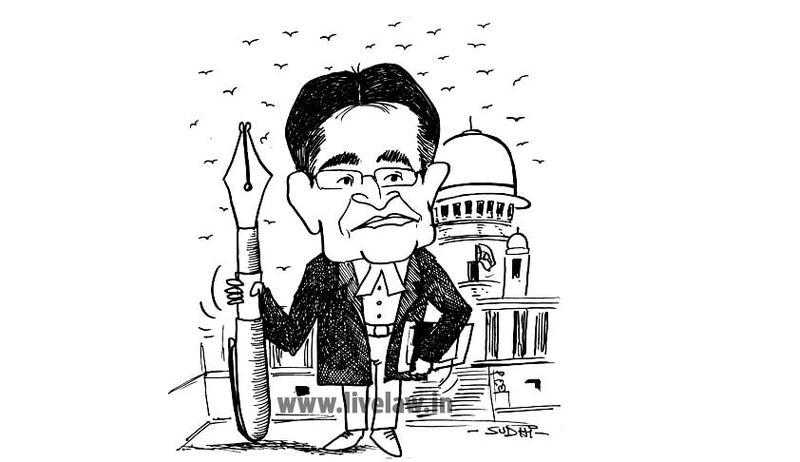 Four days before it --On August 11-- when the Lok Sabha passed the bill, Lodha had vociferously supported the collegium system for selecting judges and slammed a "concerted misleading campaign" aimed at "defaming the judiciary". He opposed the government's efforts to substitute the collegium system with the six-member Judicial Appointments Commission. "Everyone is out to condemn the collegium system as a failure. At present, all the judges of the Supreme Court and high courts are the products of the collegium system. If this system has failed, then the products too have failed and the entire system has failed," he had said. Justice Lodha says in his article for the The Hindu-“All the three organs of the state derive the power and jurisdiction from our Constitution. Each must operate within the sphere allotted to it. Judicial function is also a very important sovereign function of the state and provides the foundation for rule of law. When a verdict such as that striking down the NJAC comes, the ebb and flow, the critical scrutiny and the inherent relational tensions are not surprising. They must be handled deftly and with maturity. Judicial independence is a central goal of most legal systems, and the mode of appointment of judges is seen as a crucial mechanism to achieve this goal. While in all democracies of the world, there is near-universal consensus on the importance of judicial independence, legal systems utilise a wide range of selection mechanisms — the split model, the collaborative model, the parliamentary model, the judicial self selection model and the judicial appointments commission model — in practice. Often, they reflect different conceptions of independence of judiciary. The intense confrontation between Modi government and the judiciary had in fact triggered after government's rejection of the collegium's recommendation to elevate former solicitor general Gopal Subramanium to the position of Supreme Court judge by linking him to 2G scam and Radia tapes. This was in the run up to bringing the NJAC bill to the parliament. Lodha used the farewell function of retiring Justice B.S. Chauhan, hosted by the Supreme Court Bar Association on the court lawns, to lash out at the Centre. He said the Centre's rejection of Subramaniam’s candidature was unilateral and taken without his consent. His blunt words were enough to put the apex court on a collision course with the NDA government. "I take objection to the manner in which the executive segregated Subramanium's name unilaterally without my consent or knowledge. It was not proper. For the past 20 years, I have been fighting for the independence of the judiciary… at no cost it can be compromised. If it happens, I will not hold office for a second," Lodha said, breaking his silence on the issue almost a week after the controversy erupted. "I fail to understand how the appointment to a high constitutional post has been dealt with in a casual manner. There is a procedure to be followed for the appointment to higher positions of judiciary and that has to be conducted in a particular manner," he said.